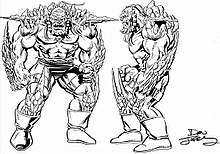 Doomsday also was able to develop/evolve resistance from ordinary injuries. 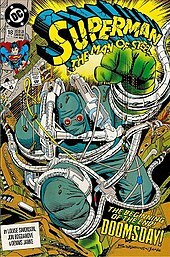 Superman once used a sound gun to greatly discomfort him, but Doomsday's auditory canals closed up, making him impervious to Superman's weapon. 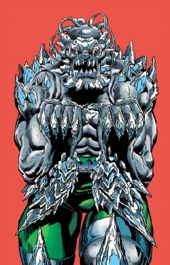 Waverider once paralyzed Doomsday with energy while seeking to perceive Doomsday's present, but the second attempt backfired as Doomsday triggered a feedback burst that briefly disrupted Waverider. ^ a b c d Greenberger, Robert (2008). "Doomsday". In Dougall, Alastair. The DC Comics Encyclopedia. New York: Dorling Kindersley. p. 108. ISBN 0-7566-4119-5. OCLC 213309017.